I am a research associate at the Institute for European Ethnology of the University of Vienna since January 2019. Since 2016, I regularly hold courses comprising ethics and methods in the field of flight, engaged anthropology as well as forced migration studies with a focus on Mediterranean islands at the universities of Vienna, Bremen and Munich. I completed my studies in cultural anthropology and educational science at University of Tuebingen, Germany. More recently, I enjoyed the fellowship of the Austrian Academy of Sciences (OEAW) in Vienna, Austria. Besides I was a Junior Fellow of the International Research Center for Cultural Studies (IFK) from October 2016 to June 2017. 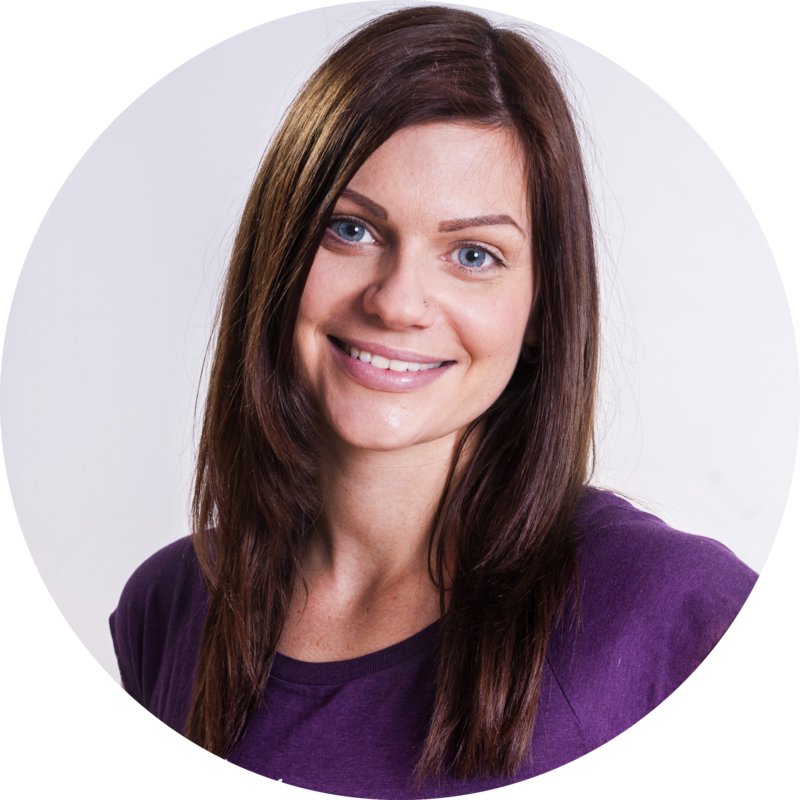 I gained professional experience in advocacy, counselling and social work from working with Vienna Red Cross and Refugee Council of Australia as well as several social institutions and NGOs. 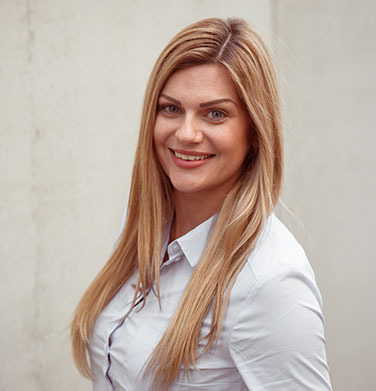 From working as a research fellow at the Department of Political Science of University of Vienna I also gained experience in project work and researching on protest movements in asylum and deportation. I was a member of the research group „The Politics of Inclusion & Exclusion“ (INEX) and involved in the trilateral research project „Taking Sides. Protest against Deportation in Austria, Germany and Switzerland“. My research focus is in forced migration. Currently, I work on the effects of non-deportability on rejected asylum seekers at EU’s external borders in Malta and Italy. Moreover, I am interested in Border Regime Studies, Engaged Anthropology, Transnational Migration, Island Studies and Ethnographic Methods. My research activities comprise several fieldwork visits. For my PhD “Betwixt and Between. Negotiations of im-/mobilities in the EUropean border regime in the context of non-deportations” I conducted an ethnography on the situation of refugees in Malta (2015-2016) as well as in Apulia Region/southern Italy and in the capital city Rome (2016). From a microanalytical perspective and with a multi-actor-approach, I am working on negotiations on non-deportabilities. 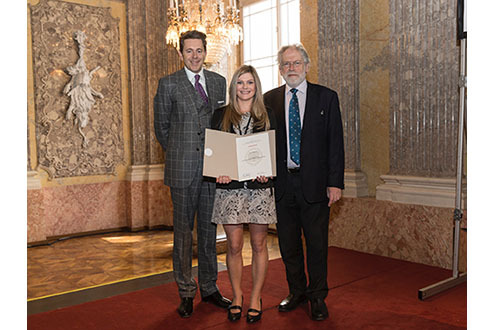 In 2019, my dissertation project was awarded with the Theodor-Körner-Prize in the field of humanities and culture. My thesis ranges at the intersection between science and engagement. I have worked and published together with (refugee) research partners several times in order to practice a collaborative approach towards knowledge production. As part of such a collaboration project, a conference paper co-authored with Buba Sesay was awarded the Rinus Penninx Best Paper Award 2018. I am engaged in the interdisciplinary network “Critical Migration and Border Research” (kritnet – Netzwerk Kritische Migrations- und Grenzregimeforschung) and the „Research Group on Economic and Society from a Historical-Cultural Science Perspective“ (Forschungsschwerpunkt Wirtschaft und Gesellschaft aus historisch-kulturwissenschaftlicher Perspektive). Further, I am a member of the “German Association of Anthropology” (dgv – Deutsche Gesellschaft für Volkskunde), "Association for Folk Life and Folk Art " (Verein für Volkskunde), and the “Migration Law Network"(Netzwerk Migrationsrecht) as well as of the working group "Flight and Asylum – transdisciplinary and intersectional" (Themengruppe Flucht und Asyl – transdisziplinär und intersektionell). Lost in Limbo? Navigating Im-/Mobilities and Practices of Appropriation of Non-Deportable Refugees in the Mediterranean Area. In collaboration with Buba Sesay. In: Comparative Migration Studies Journal (forthcoming). Winner of the Rinus Penninx Best Paper Award at the IMISCOE 2018. Living Liminality. 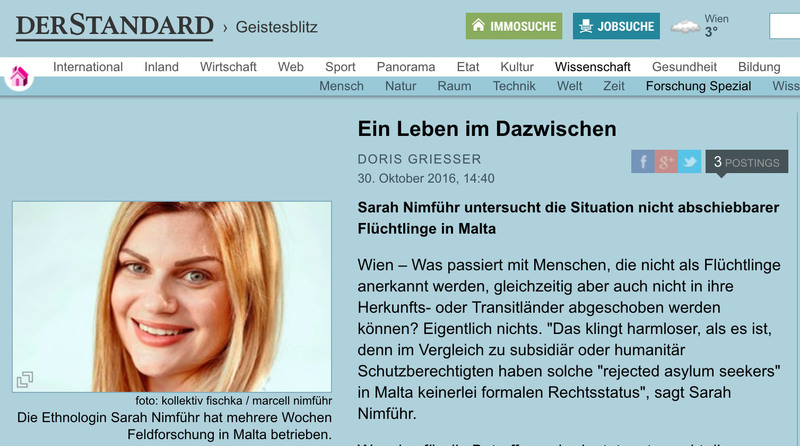 Ethnological insights into the life situation of non-deportable refugees in Malta, in: Österreichische Zeitschrift für Volkskunde, 70/119, H. 3+4, 2016: 245-271. Preserving Maltese identity in refugee management: On the emergence and absence of a prison spatiality. In collaboration with Laura Otto and Patrick Bieler, (under review for Shima: The International Journal of Research into Island Cultures). What If Research Partners Don’t Cross National Borders Again? Challenging the dichotomy of multi-sited and single-sited ethnography. In collaboration with Laura Otto, (under review). Overcoming Islandism: Reflections on Islandscape as an Analytical Tool in Research on and about Islands. In collaboration with Laura Otto, (under review for Island Studies Journal). Denying while demanding integration. 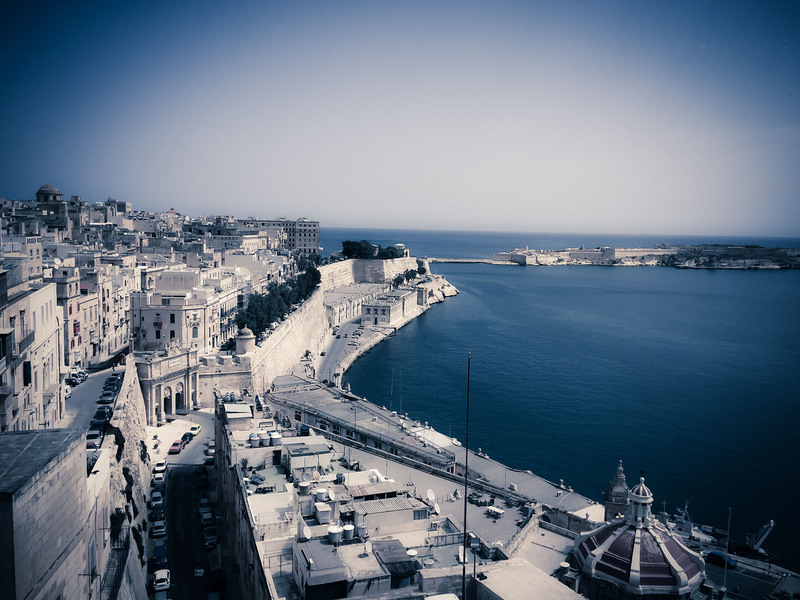 An analysis of the Integration Paradox in Malta and refugees’ coping strategies. In collaboration with Laura Otto and Gabriel Samateh. In: Sophie Hinger/Reinhard Schweitzer (Eds. ): Politics of (Dis)integration. Springer: IMISCOE research series (2019, forthcoming). Die Wirkmächtigkeit der Kleinheit. Methodentheoretische Überlegungen zur Kontextualisierung und Repräsentation von räumlichen Zuschreibungsdiskursen. In collaboration with Laura Otto. In: Margrit E. Kaufmann/Laura Otto/Sarah Nimführ/Dominik Schütte (Eds. ): Forschen und Arbeiten im Kontext von Flucht. Reflexionslücken, Repräsentations- und Ethikfragen (forthcoming). Contesting Profit Structures. Rejected Asylum Seekers between Modern Slavery and Autonomy. In collaboration with Jorinde Bijl, in: Profit and Protest in the Asylum Industry. Oakland, CA: PM Press (2019, in print). Gerettet, aber nicht angekommen. Von Geflüchteten in Malta. Gemeinsam mit Laura Otto und Gabriel Samateh: In: Hess, Sabine/Kasparek, Bernd/Kron, Stefanie/Rodatz, Mathias/Schwertl, Maria/Sontowski, Simon (Eds..): Der lange Sommer der Migration : Grenzregime III. Berlin/Hamburg: Assoziation A, 2017: 137-150. Umkämpfte Im-/Mobilitäten. Die soziale Produktion von Nichtabschiebbarkeit im transinsularen Raum. In: Reinhard Johler und Jan Lange (Eds. ): „Konfliktfeld Fluchtmigration. Historische und ethnographische Perspektiven“, Bielefeld: transcript (2019, forthcoming). Margrit E. Kaufmann/Laura Otto/Sarah Nimführ/Dominik Schütte (Eds. ): Forschen und Arbeiten im Kontext von Flucht. Reflexionslücken, Repräsentations- und Ethikfragen (forthcoming). "Malta ist wie ein Gefängnis". Guest Commentary for science.ORF.at, 12 March 2017. "Wissenschaft nur der Wissenschaft? Ein Plädoyer für engagierte, kollaborative Wissensproduktionen" German Congress of Geography 'Umbrüche und Aufbrüche. Geographie(n) der Zukunft', Christian-Albrechts-University of Kiel, Germany, September 2019. Panel Convenor "Island Ethnography: Reflecting islandness in the Anthropocene" in collaboration with Francesco Bachis and Greca N. Meloni; IUAES 2018: Inter-Congress, 'World Solidarities', Uniwersytet Adama Mickiewicza, Poznan, Poland, August 2019. 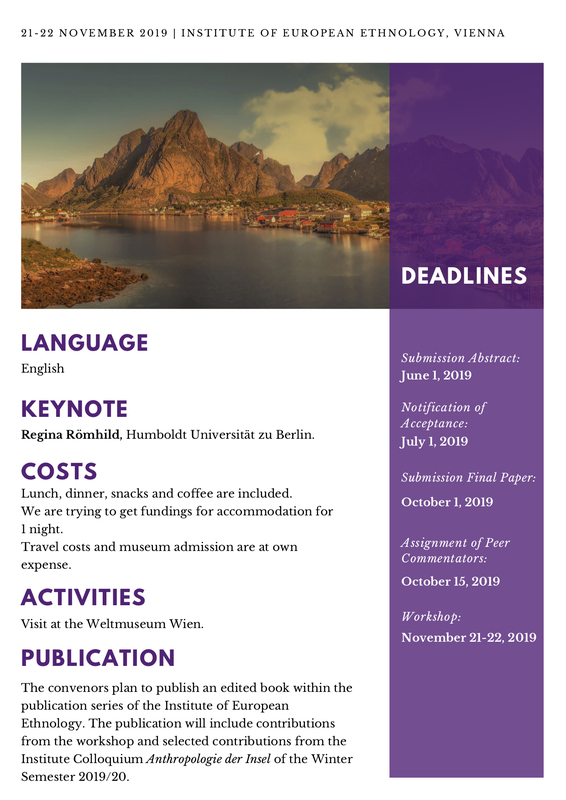 Organization of the Colloquium "CommunicAction: Anthropology beyond Academia" in collaboration with Manuel Liebig, Greca N. Meloni and Maren Sacherer; as part of the Colloquium of the Institute for European Ethnology, University of Vienna, Austria, March 2019. Organization of the "PhD-Networking Meeting" in collaboration with Manuel Liebig, Greca N. Meloni and Maren Sacherer; as part of the Networking Meeting of the Ethnological-Cultural Studies Institutes of Austria, University of Vienna, Austria, March 2019. Moderation of the Colloquium "Escape from Syria. Rania's odyssey. Film screening and talk with Rania Mustafa Ali" as part of the Colloquium of the Institute for European Ethnology "Begriffe als Probleme: Wortgebrauch in Wissenschaft und Gesellschaft", University of Vienna and in cooperation with the Austrian Museum of Folk Life and Folk Art, January 2019. "Understanding Island Societies: Ethnological Reflections on Islandscape as an Analytical Tool in the Context of Island Migration." 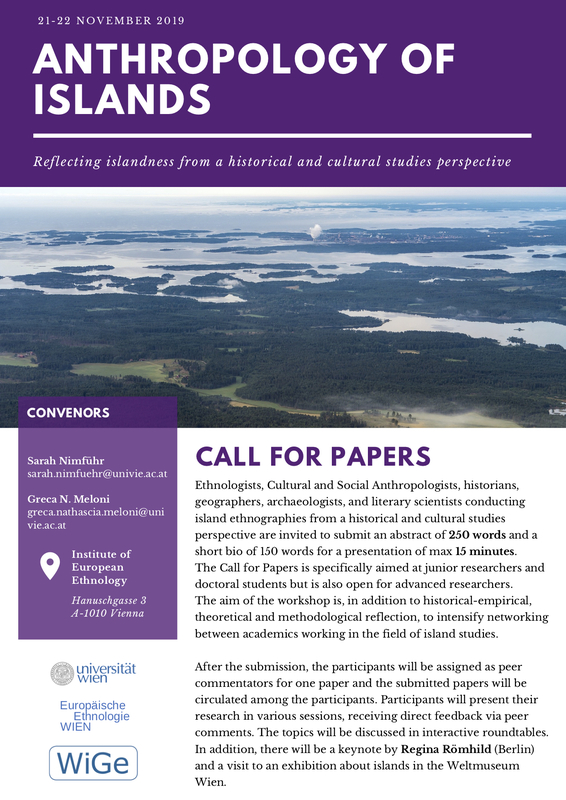 In collaboration with Laura Otto; Island Cities and Urban Archipelagos 2018: 'Islands, Resources, Tourism, and Society. Sustainable Development under Globalization and New Urbanization', Zhejiang University’s Ocean College, Zhoushan Island (Shanghai), China, September 2018. "Umkämpfte Mobilitäten. Die soziale Produktion von Nichtabschiebbarkeit im transinsularen Raum." Colloquium of the Institute for Emipirical Cultural Studies: 'Auf der Flucht, nach der Flucht. Kultur- und sozialwissenschaftliche Positionen, ethnographische Zugänge', University of Tübingen, Germany, July 2018. "Lost in Limbo? Moving Contours and Practices of Settlements of Non-Deportable Refugees in the Mediterranean Area." In collaboration with Buba Sesay; IMISCOE Annual Conference 2018: 'Europe, migrations and the Mediterranean: human mobilities and intercultural challenges', Universitat Pompeu Fabra Barcelona, Spain, July 2018. "What if my research partners just don't cross national borders again? Multi-sited research in a single geographic locality." In collaboration with Laura Otto; International Conference - World on the Move. Migration, Societies and Change, University of Manchester, UK, Migration Lab, November 2017. "'Malta is like a prison' - Islandness im Blickpunkt von Nichtabschiebbarkeit." International Research Center for Cultural Studies (IFK), Vienna, March 2017. "Living Liminality. Ethnographische Einblicke in die Lebenssituation nicht abschiebbarer Geflüchteter in Malta.“ Kick-Off Doctoral programme "Dynamics of Inequality and Difference in the Age of Globalization", University of Innsbruck, Austria, January 2017. Semesterfrage 2016: Wie verändert Migration Europa? Panel Discussion: Video Interview Presentation, University of Vienna, Austria, June 2016. "Living Liminality. Ethnological insights on the life situation of non-deportable refugees in Malta." International Conference on Migration, Irregularisation and Activism, Malmoe University, Sweden, June 2016. "kritisch: Positionierungen von ForscherInnen im Feld." In collaboration with Bente Gießelmann; Colloquium of the Institute for European Ethnology of University of Vienna, Austria, June 2016. 13th Kritnet Conference: Migration, Criminalisation, Resistance, Invention. VHS Ottakring, Vienna, Austria, May 2016. "Betwixt and Between. Eine ethnologische Studie zur Lebenssituation nicht abschiebbarer Geflüchteter in Malta." 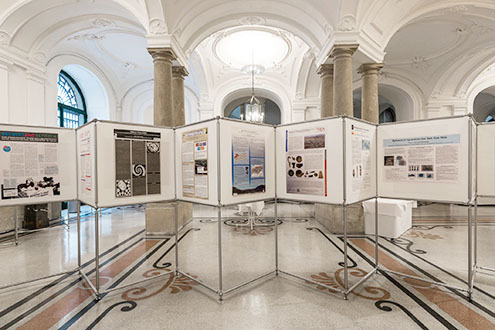 Poster Presentation; StipendiatInnentag 2016, Austrian Academy of Sciences, Vienna, March 2016. "Liminalität als Lebensform. Ein intersektionaler Blick auf nicht abschiebbare Migrantinnen in Malta." Interdisciplinary Doctoral Conference Zurich, Vienna, Berlin: Cultural Studies – Historical Anthropology, University of Zurich, Switzerland, January 2016. "Embodied liminality. Von nicht abschiebbaren Geflüchteten auf Malta." Annual Meeting of the „research group on economic and society from a historical-cultural science perspective“. Faculty of History and Cultural Studies, University of Vienna, Austria, November 2015. "Alltag im Dazwischen. Von nicht abschiebbaren Geflüchteten auf Malta." Interdisciplinary Conference: Everyday life of (in)security. Ethnographic-cultural science perspectives on the security society, Unversity of Graz, Austria, November 2015. "'Being in limbo'. Grenzgänger*innen in Malta." Autumn School: Grenzgänger in Theorie und Praxis. Europe University Viadrina, Frankfurt/Oder, Germany, October 2015. "Alltag im Dazwischen. Porträts von Geflüchteten auf Malta." Talking Anthropology and Wine. As part of the accommpanying program of the exhibition „Bitter Oranges“ by Gilles Reckinger, Austrian Museum of Folk Life and Folk Art, Vienna, Austria, October 2015. "Alltag im Dazwischen." Colloquium of the Institute for European Ethnology of University of Vienna, Austria, June 2015. 11th Kritnet Conference: Racism und Economy in the European migration and border regime. Shedhalle/Rote Fabrik, Zurich, Switzerland, March 2015. Workshop "Multi-sited und multimethodische Ethnographie" in the course of the Herbstwerkstatt, Center for Migration, Education and Cultural Studies, University of Oldenburg, Germany, September 2014. "Taking Sides – Protest Against the Deportation of Asylum Seekers." Poster Presentation in collaboration with Sarah Meyer; 2nd Interdisciplinary Conference on Social Protest, University of Kent, UK, March 2014. ECPR Winter School in "Methods and Techniques: Introduction on Statistics for Political and Social Scientists", University of Vienna, Austria, February 2014. Strategy UN-Workshop "Advocating for Human Rights at Local and International Levels“, OHCHR, Melbourne, Australia, March 2008. Ethnology as Critique: Methods and Contours of Critical Migration Studies . Materiality and Metaphor: Migration, Border Control and Mediterranean Islands. Contesting the Foreshores: Migration, Border Control and Mediterranean Islands. Islands as spaces of identity, belonging and migration: Ethnographic excursion to Europe's "tumultuous fringes"
How to do research with refugees and about forced migration? Current challenges in Ethnology. 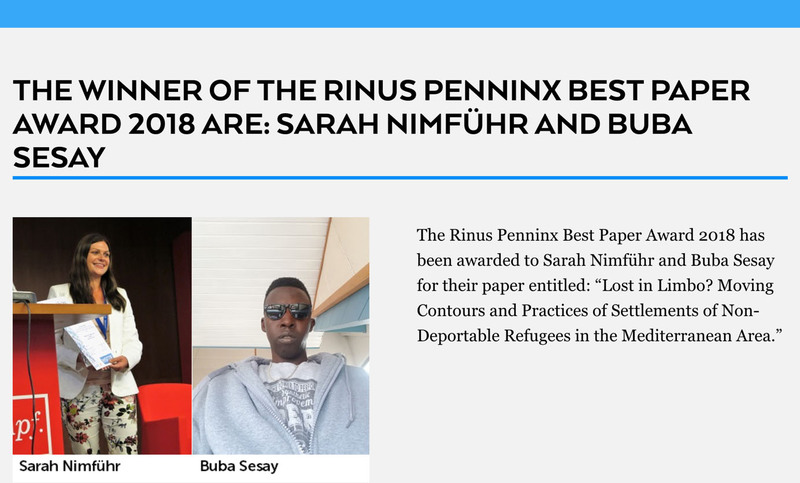 The Winner of the Rinus Penninx Best Paper Award 2018 are: Sarah Nimführ and Buba Sesay. 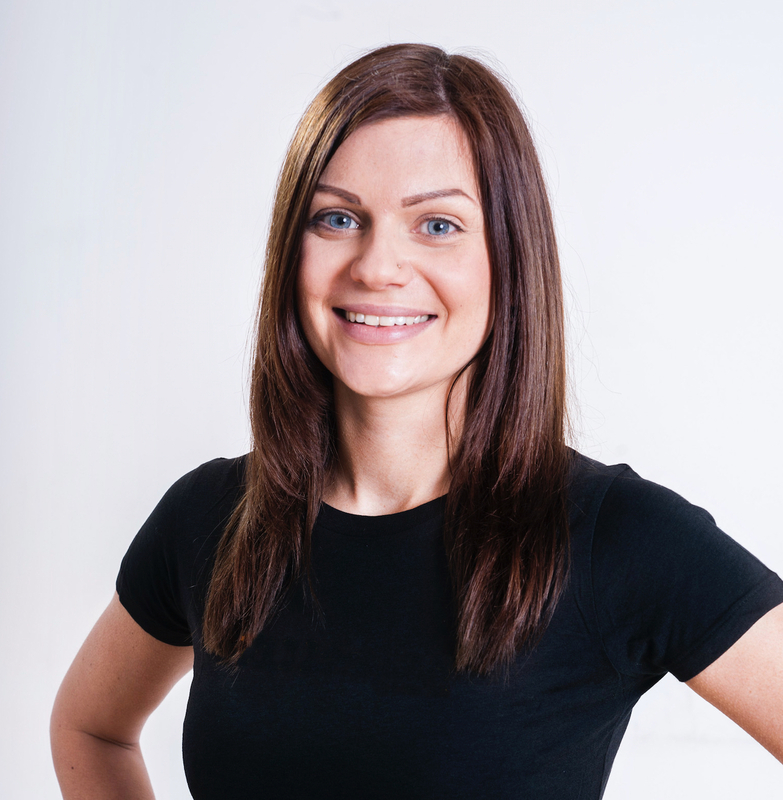 IMISCOE Network News, 4 July 2018. Ein Leben im Dazwischen. der Standard, 30 October 2016. ÖAW vergibt 82 Stipendien an NachwuchsforscherInnen. 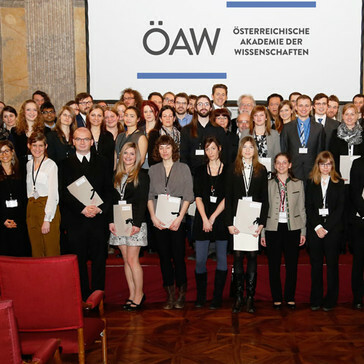 DOC-Scholarship Award of the Austrian Academy of Sciences (ÖAW), 4 March 2016. Photos: Portraits: Chester – die Agentur mit Hund. Scholarship award and Poster Presentation: Reinhard Oehner.